Scheduled tweets are a topic of hot debate within the social media community. Apps such as Bufferapp, Tweetdeck and Hootsuite allow you to set up tweets in advance, so you can take your social media hat off and relax. Great! During holidays or business trips: If you’re a regular twitter user who has travelling commitments, scheduled tweets can keep you active online even when you can’t log in. Avoiding information overload: If you have a lot of information you want to share and don’t want to bombard people with everything all at once, try separating it into concise nuggets of information. This will give your Twitter followers a consistent flow of updates. Saves time: You can build your audience and increase your presence while getting other things done. Keeps your twitter profile fresh: Regular tweeting will help you gain followers and will help limit unfollows. Fresh tweets are more likely to show up in any searches. Keeps your presence active: Regular tweets are a clear indicator that a user is worth following. You will gain more benefits from social media through consistency. Allows for increased exposure: Depending on the best time to tweet for your business or when your target audience is most active. Scheduling will allow you to tweet during those peak times for maximum exposure, even if you’re sleeping! Increases engagement: It’s a fact, the more you tweet, the more replies and re-tweets you will get. Feels less genuine: Scheduled tweets can easily feel fake and inauthentic. Make sure you plan your tweets carefully to offer the most value. 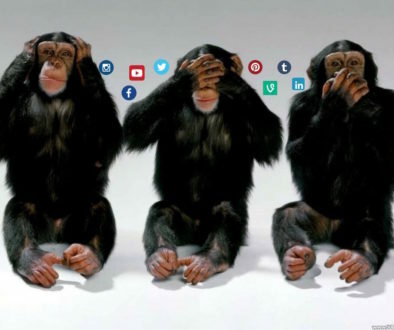 Conflict with current events: If the rest of the ‘twittersphere’ is tweeting about a natural disaster and your scheduled tweets are talking about your products it could create a major disconnect that could be deemed insensitive or even offensive. Thankfully scheduled tweets can be easily changed, so be sure to keep an eye on current events. Promotes laziness: Although composing tweets takes a bit of time, publishing them through apps could tempt you to ‘set it and forget it’. This attitude won’t attract followers or encourage engagement. Missing important conversations: If you simply rely on scheduled tweets for your Twitter activity you could easily miss out on important conversations that are taking place in your industry. You may also have users asking questions and trying to engage with you, if you don’t respond quickly it won’t look good! N.B. Scheduling is NOT the same as an automated tweet. These are created and scheduled by a web app, which scans the web looking for particular keywords, and will then automatically share articles and websites containing those keywords. You can also use a web app to send direct messages to the inbox of every new follower, or to automatically follow everyone that follows you. Most respected twitter users will stay clear of automation. Essentially this is sophisticated spam by sharing content you haven’t read you are risking your reputation.